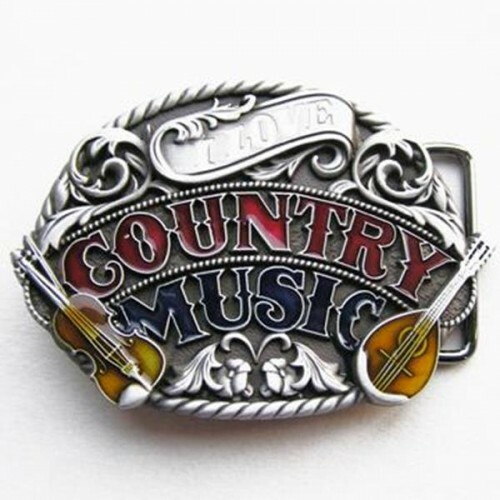 Large belt buckle (only the buckle) for Country Music lovers. The buckle is in brushed gunmetal, it has the inscription "I Love Country Music" glazed in 3 colors: white, red and blue. On the sides a violin and a mandolin enamelled in transparent orange (wood type). If you are looking for a belt we are selling it in leather and black military suitable for the buckles.